Added by Nitroxis almost 3 years ago. Updated over 1 year ago. Also the effect seems to be broken. Maybe this happens in other maps too but I only noticed it on g-23. The trigger_impulse, placed beneath the deck for some reason, seems to be causing this behavior when electro ball is stuck after getting in touch with any solid surface. 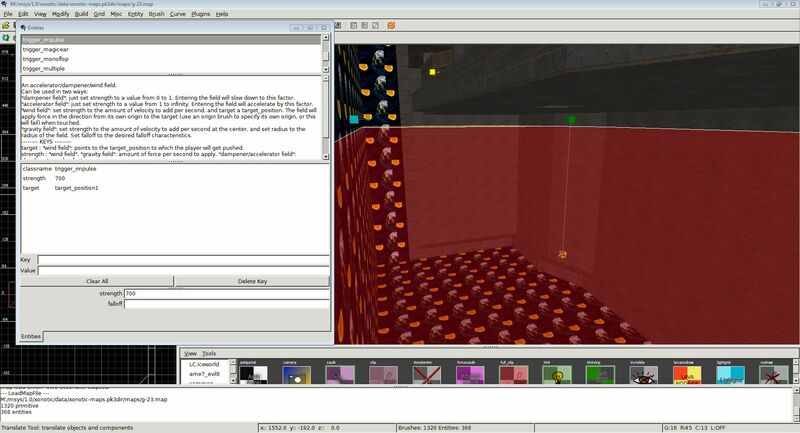 Attached screenshot showing it in map source in netRadiant. Cannot reproduce this bug, anyone else?